In simple terms, bruxism refers to clenching of the jaw tightly and grinding of the teeth. Typically grinding occurs when one is sleeping. They are oblivious to the action and continue to do so. More than being a serious health problem, it is a nightly sleep disorder that deters fitful sleep. 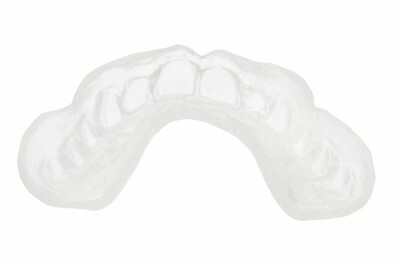 Almost one out of every fifteen people suffers from bruxism. Grinding of teeth is a very common phenomenon. It can be quite disturbing for the person as well as those sleeping around them. This is something that happens automatically and cannot be controlled. It almost persists in a continuous and in a patterned motion. Once it starts it happens in a pulse of 10-15 seconds, and clenching happens in breaks of 15-30 seconds. Though it is not considered to be a health hazard, grinding of teeth puts undue pressure on the teeth enamel right down to the root of the teeth. Any person in any age can be affected with bruxism. With that said the causes are unknown and cannot be attributed to any one particular reason. Extreme conditions of stress, trauma, tension, and/or insomnia could be the causes that lead to bruxism. If after a prolonged period, this does not stop, it is best to consult a dentist. A plastic dental guard is put on the upper and the lower set of teeth to prevent them from brushing against each other and causing abrasion. If this can be controlled effectively, the muscles also relax and automatically clenching of the jaw also gets substantially reduced. The guard is a fine cover and can be worn while one sleeps as well. Constant and continual use protects the teeth as well as with time one completely can be rid of the habit.